Our design fabrication workshop is a unique space for creativity and making. Our facility houses a wide range of technology tools for hands-on designing. Our fabrication workshop includes: fablab area, machining zone, print hub and training center. The FabLab office is equipped with multiple 3D printers, a die-cutter, small scale CNC engraver, painting easel and mold making kits. 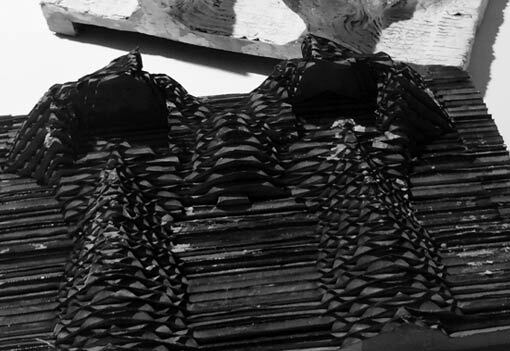 We aim to inspire and encourage experimentation by exploring different processes of making using hybrid 3D modeling computer generated designs with portable machinery. Further information coming soon. Our Machining Zone is coming soon. The facility will include a wide selection of power tools, a CNC mill, laser engraver and laser cutter machinery. This zone is devoted to construction for design prototypes and architectural and engineering models. Our Print Hub facilities full-color banner printing requirements (up to 42"x109"). 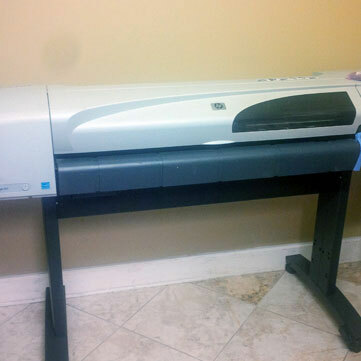 The space includes an HP DesignJet plotter with large format plotting with full-color and/or black and white options. Prices begin at $10.00/square ft. The training center includes a break room and a training lab. The lab houses three (3) training tables, multiple projectors, eight (8) PC computers, one (1) instructor Apple Macbook, and three (3) locker stalls for certification testing. Read more about our training program. Our design studio and fabrication workshop (fab lab, machining zone and print hub) are not open to the public and available by appointment only. Are you interested in purchasing 3D software? Begin saving today with our exclusive coupon codes. Save on these discounts for students and professionals when you purchase a non-expiring or annual license. Get your 3D software discounts here!